A good logo conveys the message and essential truth of a brand. Whether you’re interested in creating your own logo or finding the right designer, there are a variety of resources available to develop your logo with relatively little cost. Here is a list of tools and resources to create a logo. There are guides to logo design, sites to hire designers, online logo makers, and logo galleries to find inspiration and network with the logo design community. Everything There Is To Know About Logo Design. In this free guide, learn the basics of logo design, the rules for creating a logo, and essentials to consider like colors and typography. Look at some really bad logos, and get the story behind the logos of the world’s most famous brands. The Ultimate Guide to Logo Design. From WebDesignerDepot.com, this is a thorough guide to logo design, complete with a nice list of tools and resources. Examine what makes a good logo, elements of logo types and imagery, and research tools, such as a nice list of galleries. The article is written for aspiring logo designers, but it’s equally useful for small businesses interested in designing a logo. The Logo Design Process. Will Paterson is a freelance graphic designer, specializing in logo design and brand identity. This short video shows his logo design process from start to finish, from early concept and generating variations to finalizing in Photoshop with high-quality finished elements. He also offers a course, Logo Design for Beginners. DesignEvo. 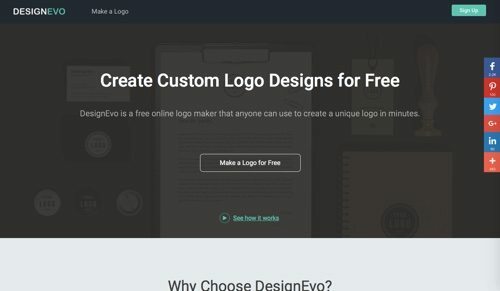 DesignEvo is a free online logo maker, to create a unique logo in minutes. A large collection of vector icons and shapes help you design custom logos quickly and easily. Any logo can be fully customized to get a unique look. Choose the desired font for your logo text, and customize to match your brand. LogoMyWay. With LogoMyWay, start a logo contest for as little as $200 with a five-day turnaround. Choose from 600 custom logo designs from creative designers worldwide. Receive a dedicated design specialist to help guide you and answer any questions you might have. If your logo contest doesn’t receive at least 40 logo concepts, your payment will be refunded. LogoDesignTeam. LogoDesignTeam began in 1997. It offers logo design services, as well as logo repair services to tune up a logo. Within 72 hours of your order, you will receive multiple logo design concepts. Based on your feedback, revisions are made. Select the design you like most, and receive the final set of logo files. Logojoy. Logojoy uses artificial intelligence to instantly generate unique logo ideas for your business. Select logo styles, colors, and icons. Logojoy will use these as inspiration when generating your logo options. As you scroll, it generates more logos based the ones you’ve favorited. Prices starts at $20 per logo. LogoMaker. With LogoMaker, create, change, and save as many logos as you like. Once you’ve got the design right, purchase the logo, and download the files you need. Choose from 10,000 logo icons. Create up to six designs to compare before you buy, even ask a friend for input. Get all the file formats you need, including vector file format so you can make changes later. Logo Maker by Ucraft. This logo maker allows you to make a free logo for your business within seconds. Start with a blank canvas, add text and an icon, and then customize. Sign up for free to download your files. Logo Maker by GraphicsSprings. Choose from a gallery of vector format logo templates, categorized by industry. Edit the graphics and texts of your template, then download. Unlimited use of your new logo is $19.95. Logo of the day. This is a daily logo design award site that rewards the best professional logos and trademarks designed throughout the world. All logos suggested are screened by a professional logo designer and are judged on design and concept, creativity, scalability, appropriateness, usability, and memorability. Logo Design Love. Logo Design Love is a website and book devoted to logos and visual identities. Launched in 2008, the site is updated weekly with good ideas and identity-related features. Logo Design Love is hosted by David Airey, a graphic designer in Northern Ireland specializing in logos and brand identity. LogoLounge. LogoLounge is a logo gallery site for inspiration and resources. Find inspiration from over 268,000 logos. Make collections from designs that catch your eye, and network with member designers. Logos from the site are also considered for an annual book. Membership is $100 per year. Logopond. Logopond is a showcase of identity work from designers of varying abilities all across the world. It seeks to inspire and improve the talents of its design family through shared knowledge and helpful experiences. Find inspirational images, get help with your designs, and utilize the pool of logo design talent. Logoed. Logoed is an inspirational gallery for graphic designers. Each featured logo contains additional branding images in relation to the logo, to generate further discussion around brand identities. Logos are added somewhat sporadically (weekly or monthly), but the site is a helpful resource for high quality logos. LogoMoose. LogoMoose is a logo inspiration and design community, showcasing over 13,000 logos submitted by professional logo designers. See featured logos, or browse by awards, rankings, or views. You can also browse the portfolios of the designers. Logospire. 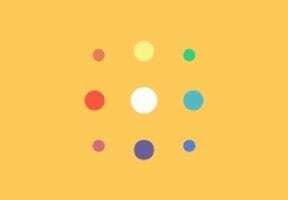 Logospire was launched in January of 2009, as a site where designers could freely register, browse, and share their logos to inspire and be inspired. The site is closed to new work, but it’s a good resource for high-quality logo inspiration. Over 12,000 logos are displayed on the gallery pages. 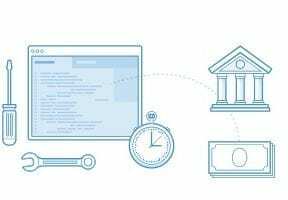 How Does Fintech Affect Ecommerce?